There Once was a Santa. Then There was… More. My Dad, one of JM’s Biggest Heroes! This was bound to be the year. 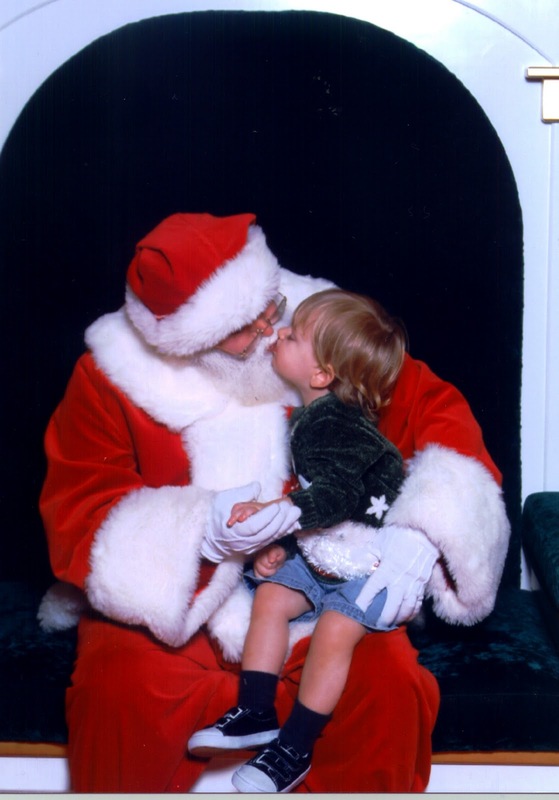 While we have not ever dodged our son’s questions about Santa Claus, his questions themselves have never been out to debunk the legend. So balancing some mystery, the magical fun, a grandfather who is a professional “Mr. C” — all while keeping the true meaning of Christmas intact — well, truthfully, it has never even been a challenge. Until this year. On that same trip, we met his Uncle Marc and his four-year-old cousin Jack for lunch. Santa was brought up during the meal, and I noticed that J. Michael looked down at the table in intense thought when normally he would have been talking, laughing, and telling imaginative stories. I knew the thoughts in his head were stirring, and getting more contemplative. In the car ride back to North Carolina, he had several questions while listening to Christmas songs on the radio. But when we returned home, life kept happening, and we never got to addressing the matter. One day, he even called Mike and left a message on his phone, “Dad, I need to know – do you and Mom buy the gifts from Santa? Please call me back.” That conversation STILL ended up not happening that day, and another full week passed! Two days ago, Nana was on the phone asking J. Michael what he wanted for Christmas, and even though he had mentioned to Bumpa a few months ago what he wanted this year from Santa, he was now just silent, leaving Nana to wonder if the connection had been lost. I said quietly, “You can answer her, J. Michael.” And he whispered to me, “I can’t Mom. The gifts are too expensive, and I don’t want to ask Nana and Bumpa for such expensive things.” He just kept saying to her, “Nana, anything is fine. I will like anything from you.” Obviously, he was no longer certain that Bumpa had an actual connection with the Big Man in Red. At church, we have four weekend services – two on Saturday, two on Sunday. J. Michael attends service for one on each of those days, and during the other, he plays with kids in the Encore Room (a hang-out place for those who are there for an “encore” or more). Last night, we found out that J. Michael was in a heated conversation with another boy over whether or not Santa Claus was real. The other boy kept on saying that he didn’t believe, and the discussion ended with Jeffrey Michael Shroyer dumping a capri-sun fruit drink on the boy’s head! J. Michael immediately began to cry and said, “Dad, I am seven years old, and all of my life I have thought that Santa is real. I have just had a lot on my mind, and I am really struggling right now with it.” Then he got onto the floor and sat with Mike’s arms around him, trying so hard not to cry. Mike, “J. Michael, you can ask us ANYTHING, and you know that we will tell you the truth if the truth is what you want to hear.” He nodded yes, and asked Mike to tell him all about Santa Claus. Mike then revisited a little bit about the story of the real man, Nicholas, and asked J. Michael, “Is that man making you feel that way?” J. Michael chuckled out a “No,” and paused. Mike asked, “Does SANTA make you feel those things?” “No, God does,” and he smiled. “Have you ever met anyone who loves to laugh more than Bumpa does?” “No!” (smiling). Mike also let him know that there is a lot inside of Bumpa that has been blessed as he’s been able to be a Santa, and he asked J. Michael if he would like to finally hear the story that Mike wrote, based on the life of Bumpa, called How Christmas Saved Santa. He lit up and said, “Yes!” So we are going to make cocoa tomorrow night and let that story-telling begin. We then let him in on something that he didn’t know — that each year, Mommy and Daddy identify a few families who really need to be blessed… and we secretly bless them. We told him about two families last year who we blessed and even told him exactly how much money we secretly gave them. His eyes grew SO WIDE, and he asked if he could be a part of that with us from now on. As the conversation grew less and less about the existence of Santa Claus, it grew more and more about the very real existence and demonstration of Love. For while the legends have grown, the purpose and meaning behind them has not changed. Believing or not believing is NOT even the issue… It is all about how open are our eyes to see those around us with God’s vision, and to Love them according to His richest, measureless, demonstration of Love. The irony of the timing of this conversation brought us to be able to let him know that he is ALREADY living out a part of this Legendary kind of Love. You see, we spent yesterday with a family who is really hurting — going through a custody battle, separating their *stuff* into “what’s mine” and “what’s yours.” When we were leaving their house to head back to Mr. Condo, J. Michael asked why things with them were so different, why their house didn’t look the same, and where the Daddy was. I told him gently what was happening in his friends’ lives, and how their entire world that they’ve always known is changing. He put his hand on his own heart and said, “Stop Mom, I can’t take it! My heart has already grown several sizes inside.” Then last night he prayed for that whole family before bed and wanted to come up with some special ways to help them. So, already active in this special boy is a legendary kind of Love. And now after tonight’s conversation, with the removal of the thought that a Big Man in Red with an army of elves will do all of the work without you and me and a whole world full of people… well… I am looking forward to the NEXT chapter in our little man’s world. Because there once was a Santa. And now there is—MORE. Much more. The you and me, love-in-us kind of more. And we do not need to look far to find those who silently beg to matter. This was from Dad’s first year as “Mr. C.” It’s one of my favorites because very few kids have had a love like this for “The Big Guy!” Needless to say, J. Michael and his Bumpa will always have this very special bond – sleighride, reindeer or not! wow, wow, wow, wow. well…there ya have it! i love this and i love that you have handled j. michael so sweetly and i love his big heart. my story about maggie isn't quite as poignant. 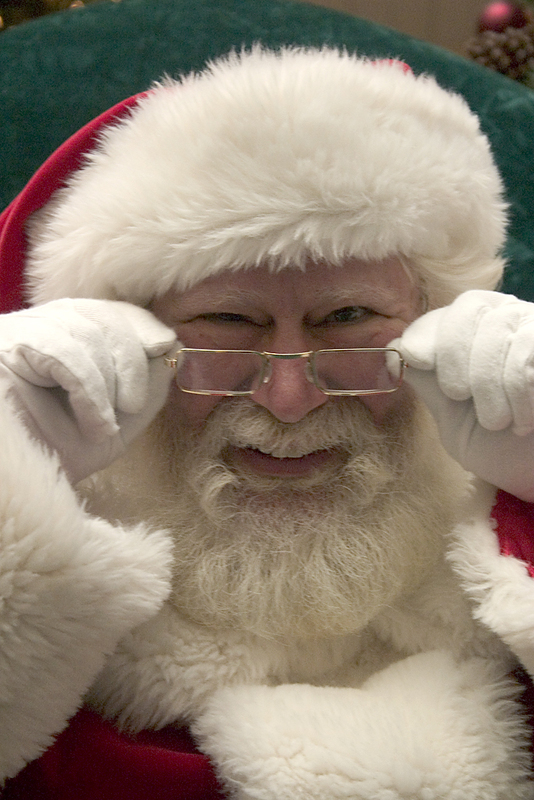 it goes something like this: "mom…santa can't possibly be real." me: "why?" maggie: mom, please…he's really in EVERY SINGLE mall?" bahahaha. ever practical. like her mother 🙂 I love you and please tell j. michael how proud we are of his big heart…and that we think he's a legend in his own right! Hilarous, that Maggie! Yes, a little you. l.o.v.e it. I knew this would be a tough thing for J. Michael. Sadie will be our funny one. In fact, the other day, she saw a Santa on TV and said, "HEY! That guy in the red coat looks just like my Bumpa!" :::sighs::: glad we're on to the "more," for sure! Oh Ami. There are no words. Once again you have come through in an answer to my heart. AS my life gets busier with 2, I am realizing how hard my long distance relationships have become to keep in contact. My little one has been asking all about Santa this year and this is giving me a great starting point with which to teach her. Love, love, love, love, love. Sometimes I think I should let my kids come live at your house for a while. They could soak up some good wisdom. 😉 We aren't quite to the questioning point yet….largely I think because we don't push the Santa thing very much, but I know it's coming. And I love this so much, I think I'm going to start introducing a little about the real St. Nick in our conversations so that we can be ready for the conversation when it comes. Thank you so much for sharing this. Now, when should I drop the kids off? 🙂 Leigh Ann M.
Thanks, Leigh Ann! You will do great and have your own amazing transition. I do think there is some bitter-sweet to walk through now that it's all "out of the Santa sack"… so this Christmas Day, we are trying to think of something extra-special to give JMan for being more "grown-up" that will symbolize the need for him to still pretend and hold onto the child-like imaginative fun. Molly – Now *I* am crying! I love you too. We were those little girls, and now we are the Mommies… and the magic still happens. May it always, now and forever. I know that you will equip and inspire your beautiful kids with Love's lavishing Power. You are a great and Loving Mom, and yes, the legends will follow.. Powerful, thank you so much for sharing this. Brought tears to my eyes and warms my heart, as a mama trying to instill the love of God in my kids, not having had that myself as a child. What a wonderful way to "break" the news to your son, my grandson. I'm so proud of my son and you for handling this in such a great manner. I also agree with the comment above that this needs to be published!!! Looking forward to spending some time with all of you this holiday season. Leigh Ann sent me your way. Beautiful words! Julie – that means so much from you. Thank you. Great post… I enjoyed it and passed it on. Thank you berad for reading!